PortAventura Business & Events offers facilities regarded as a benchmark throughout Europe with space to hold events for any number of guests from 10 to 4000 guests. One single contact to organise all services and requirements. An ideal and versatile space that has all the tools necessary to carry out, with resounding success, any type of event, conference, convention or incentive. 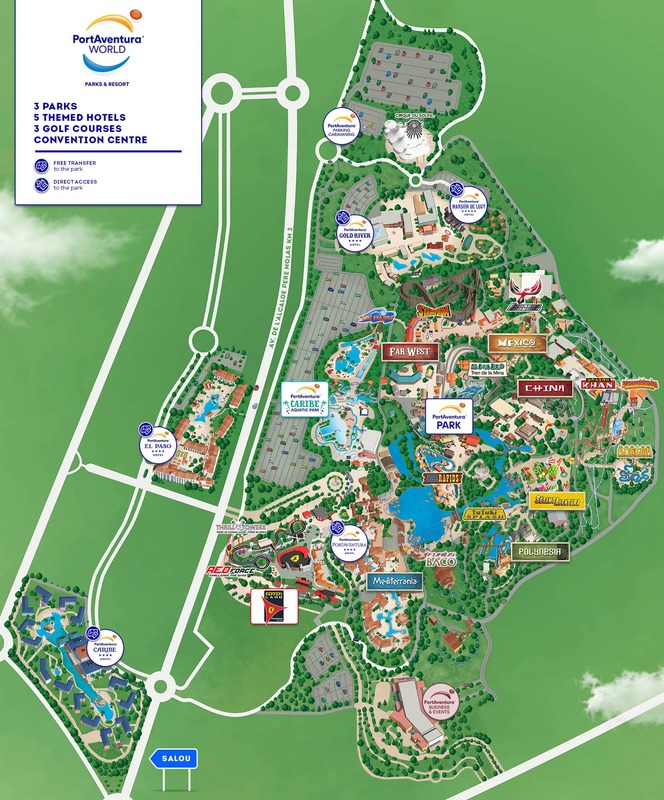 PortAventura Convention Centre is the only professional convention centre to have two of its own theme parks: PortAventura Park and Ferrari Land. To this strategic advantage can also be added: 2000 rooms in five 4 and 5-star hotels, water park, full range of restaurant options, unique shows, golfing and team building activities and exclusive opening of the theme park areas. The PortAventura Business & Events Convention Centre with 14,000m2 has 18 multifunctional and modular rooms fitted with state-of-the-art technology, in order to hold events like congresses and conferences. The rooms are distributed over two spacious floors with capacity for groups of 10 to 4000 people. At ground floor level, the Alexandria room, at 2800m2, can be converted into a large size auditorium, (1200 people). On the first floor there is the Harvard room, a fully-equipped auditorium for 150 people, and the Tarraco room, a Premium space that is ideal for board and committee meetings. All the terraces are perfect for coffee, gala dinners and any open air function, in a warm Mediterranean climate setting. Coming soon: In 2019 full refurbishment of Hotel PortAventura located three-minute walk from the convention center and a brand-new 4 -star hotel with 150 rooms. In January 2020 expansion of the PortAventura Convention Centre over more than 6,000 m2 reaching 20,000 m2 in total. It will feature a new room of more than 2,000 m2 that can be divided into three sections, and a capacity to welcome more than 2,000 people.